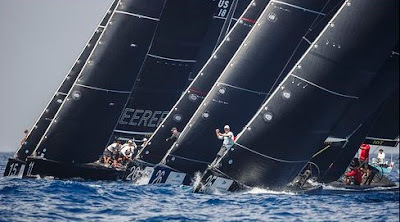 Conditions off Sardinia's Costa Smeralda were the most consistent yet at the Audi RC44 Porto Cervo Cup. The 7-10 knot north-northeasterly allowed the race committee to hold four races compensating for windless Thursday's loss to the schedule. Hugues Lepic's Aleph Racing was last in today's second race where he copped a penalty and had to carry out a penalty turn for preventing Artemis Racing from crossing the finish line, but went on to win the next race. Yesterday's star performer, Vladimir Liubomirov's Bronenosec Sailing Team, had a disappointing day posting a 10th and 12th, causing this morning's overall leader to plummet to seventh overall. But the biggest 'hero to zero to hero' was Team Nika which won the first race, came last in the third and won the fourth. 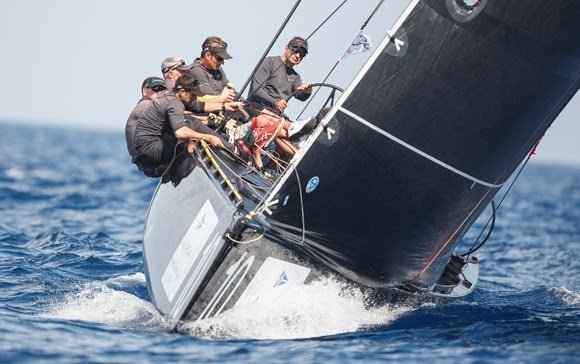 The last place in today's third race occurred because, as they attempted to roll Peninsula Petroleum while rounding the top mark, they failed to keep clear causing John Bassadone's RC44 to touch their genniker. As a result Team Nika was penalised and had to carry out a penalty turn which cost them five places saw them end the day sixth overall. "I have mixed feelings. Ups and downs. If I hadn't touched Peninsula I would be second, so that is quite painful," said Team Nika owner Vladimir Prosikhin, after he and his crew had finishing mutually dowsing each other in champagne. 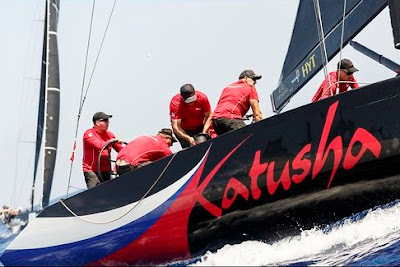 The fourth win today went to Katusha, on which new co-owner Alexander Novoselov is racing his first RC44 regatta. "It was a great day and for me it was a complete surprise. I put 99% of the victory down to the team, who are nice and professional. I was proud of us. 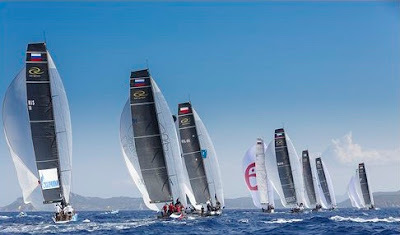 It is very exciting, not easy, but really enjoyable," admitted the Geneva-based Russian, who has previously raced Melges 20s. 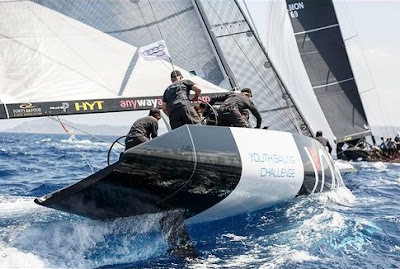 "I'm so proud of him.This is his first RC44 regatta and normally we might be fourth or fifth up the first beat and then lose places, but instead we were fighting and going forwards. It was a great, great day and it's good to be back," said Katusha's American tactician Andy Horton of Novoselov. The race they won came from sailing to the generally slightly windier left side of the course and then finding themselves able to cross once they tacked. Back at the top of the leaderboard are the familiar teams from 2014 – Team Aqua and Peninsula Petroleum, both of whom scored 20 points today, as did third placed Aleph Racing. Team Aqua holds a five point overall lead. "Today was good and bad, but generally a step in the right direction to where we think we should be sailing. 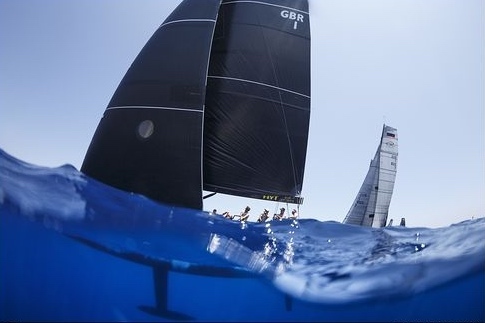 It was very tricky and tough, and quite shifty and in the last race we changed to the no2 headsail and the wind dropped and we didn't change back. But we are very happy, although there are six boats within five points of each other which shows the high standard," said Peninsula Petroleum owner John Bassadone, whose team posted a 2-2-7-9 today.